When a friend asked me if there was a dress code requirement to a certain event he's supposed to attend in my behalf, I immediately answered: Dress to Empress Schuck! Seriously, we should always "dress to impress" regardless of the event. I know there may be times you need to wear a formal attire, but nowadays even a pair of jeans and worn out rubber shoes would go well with a coat bought from an ukay-ukay. So its better to always bring along a coat in your backpack. You'll shine out as hip and cool with an outfit like that - especially if you match it with a stunning hairdo, a fragrant perfume or cologne, and a chin up attitude fitting to how naturally glamorous your personality is. Wow!!! - That will be the words you'll hear as you walk through that entrance on a seemingly virtual red carpet almost floating in cloud nine. 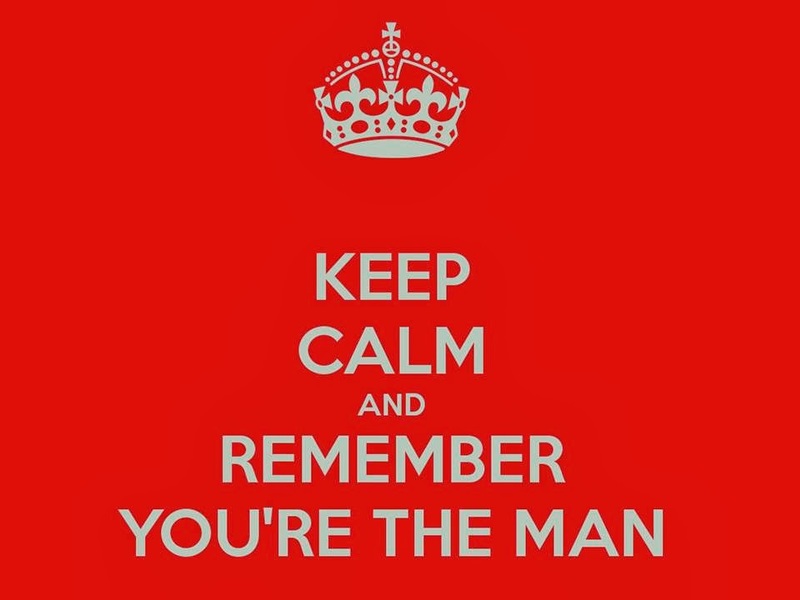 Keep calm and remember ....You're the man!!! Sometime in our lives we will reach a status where the plain old shirt will not be appropriate to represent our personality. We need to "Level Up" and make people look at you more seriously. Admittedly, many of us judge people based on the way they dress up and carry themselves. The way they talk, walk, the gadgets they carry, and how much cocktail names they know. We discriminate and its quite offending to see people look at you from head to toe as if they are judges of a beauty pageant and you're a contestant wearing a two piece swimsuit. They will correct your grammar like the grammar police of the online world, and they will even mock you if you are not aware of the latest gossip. People tend to be insensitive and less endearing if it means getting seen with a seemingly low-life who couldn't afford to hail a cab after a night at a bar. If you wore the same outfit within a week, they will brand you as poor. If you do not know how to identify which spoon, pork or knife to use in fine dining restaurants, they will think you are better off eating at a "turo-turo". I've seen rich, influential and powerful men dressed so simple on regular days, but they look so debonaire and dashing at formal events where they are required to cut the ribbon, or become a godfather to the bride or groom. They command respect, they exude an aura not quite what we see and feel from those that show off their riches. At the very end, we will all leave our personal belongings behind, and we will be judged not based on how many material possessions we have accumulated - but on how many people that appreciated our presence. Let us touch the lives of the people around us so that we will leave a legacy of memorable greatness. It's true people should always dress to impress to have a self confidence.